Thanks to everyone who entered the margaretruthbeads Etsy giveaway. I am happy to announce the winner is #8- Jaime with LA VIE....J'AIME. 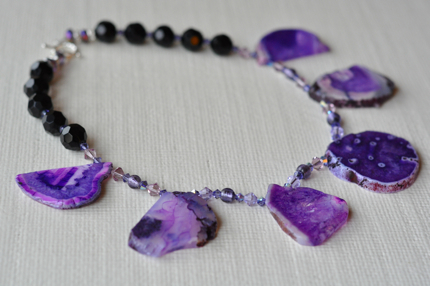 Jaime selected this lovely purple stone necklace valued at $75. And for those of you who have not checked out this lovely Etsy shop, definitely take a peek. My friend and colleague Chris has some amazing pieces and she only uses the highest quality beads and materials.